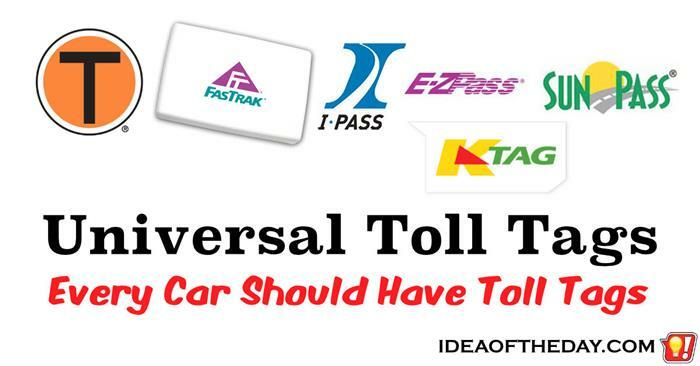 Toll tags like E-ZPass are great, but there's a hidden agenda. Toll tags are being used like poker chips in a casino, they keep you from thinking of them as money, which is why politicians love them so much. It makes it easier for you to forget how much you pay each time you go through a toll. People in casinos bet more when they use poker chips than they would if they had to take cash out of their pockets for each bet. That's the magic of tokenizing money. We don't think of it the same as we would with cash. Credit cards have the same effect on people, which is why stores love them. How does this relate to toll tags like E-ZPass? Why is it that car rentals don't have toll tags? The worst thing about renting a car is that it forces you to wait in lines at toll booths, because the rental cars don't have a toll like like E-ZPass. That's a real pain in the neck. Most toll tag accounts have real-time access to toll activity records, so it would be very easy for a rental company to track your toll activity and simply add it to the bill. Universal Toll Tags. Every Car Should Have One. Why are toll tags optional? Everyone should have one, and they should work everywhere. When toll tags were introduced, I got one the first day they came out. From that day forward, I can't even imagine why they aren't mandatory on all cars. 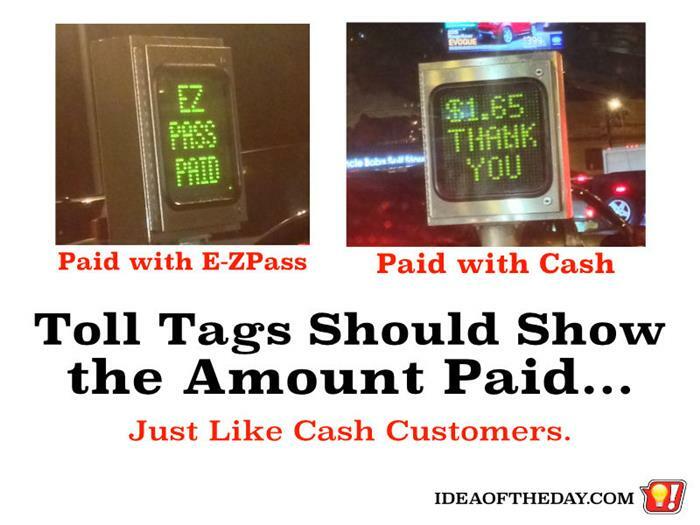 The idea is simple, anyone with a tag doesn't have to stop the car and dig into their pockets to pay a toll. Who wouldn't want that? As it turns out, a lot of people, and that bugs me, because those people cause a lot of traffic jams. Toll Tags Should Show the Amount PAID, Just Like Cash Customers. Toll tags are being used like poker chips in a casino, so you never think of the actual cost each time you use them. Here's a simple social experiment. Studies have shown that people in casinos bet more when they use poker chips than they would if they had to take cash out of their pockets for each bet. That's the magic of tokenizing money. We don't think of it the same as we would with cash. Credit cards have the same effect on people, which is why stores love them.